Princeton Nursery School hasn't added a story. The Princeton Nursery School (PNS) has been serving families in need in Princeton for almost 90 years. 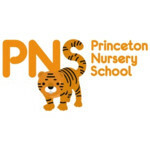 Princeton Nursery School provides affordable, quality 12 month preschool education program and safe childcare as well as services for hunger prevention, health, wellness and bilingual assistance to the working poor. Even though the parents work hard, at least 70% of our families live at or below the federal poverty line. We offer a sliding scale tuition based on family size and income, and many families qualify for government subsidies Even so, 94% of our students require some sort of additional financial assistance from PNS. Our hunger prevention program is at the cornerstone of the services we provide to 48 children on a daily basis. It includes a nutritious breakfast, lunch and snack daily to all our students. It is gravely important that we continue to provide these services to our community. Our beautiful school building is over 100 years old, and the kitchen needs to be renovated to meet health department code and state guidelines, so we can continue to provide the 37, 500 meals we serve each year to these young children. The kitchen project will cost approximately $50,000 including commercial grade appliances. We need your help today to make this possible. Every dollar makes a difference in renovating our kitchen. Please donate today to help us reach our goal and share our campaign with your friends and colleagues. The children of Princeton Nursery School thank you for your support. Princeton Nursery School hasn't posted any updates yet. Princeton Nursery School is managing the funds for this campaign.